If you liked the idea of the Hammerhead navigational gadget that we wrote about in 5 Incredibly Cool and Useful Road Bike Gifts, you will love the SmartHalo. 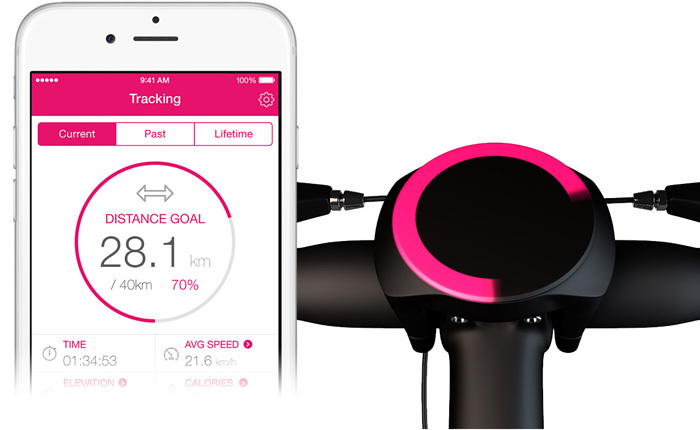 From LED navigation, a touch interface, Bluetooth connection for GPS location, staunch bike security that can withstand even the toughest cities, tracking of your cycling metrics, and more, the SmartHalo is an exciting new security and fitness device for the 21st century cyclist. – Single input touch interface. The battery that powers the SmartHalo was engineered to provide optimized and long lasting lighting and security. When it is time to recharge, you simply plug it through UBS. This SmartHalo is a beautifully minimalist design that isn’t complicated to install or use. This device makes it easy to focus on what’s important — your ride. 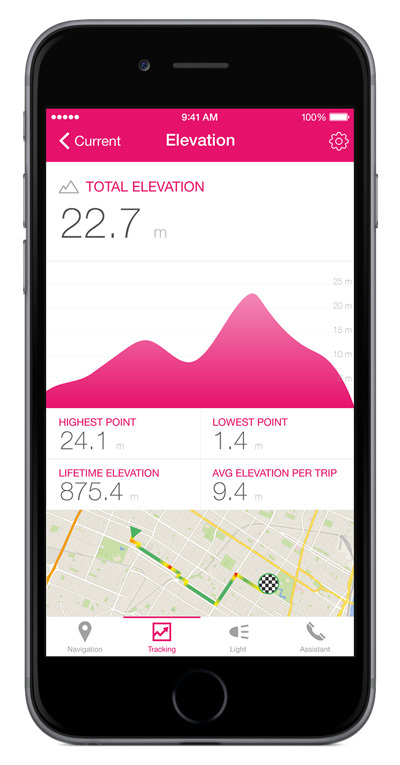 This design focus has resulted in a simple device that is easily secured to your bike to keep track of your bike’s location for security reasons and more practical reasons such as finding out where you parked it in the big city. It also allows you to utilize health and fitness tracking as well as anti-theft and anti-tampering so nobody can steal your prized ride. The build is slick and will fit onto just about any handlebar and will work under any conditions. It is tested for all bikes, tested against the harshest weather, adapts to daylight and nighttime automatically, and has a long-lasting battery. 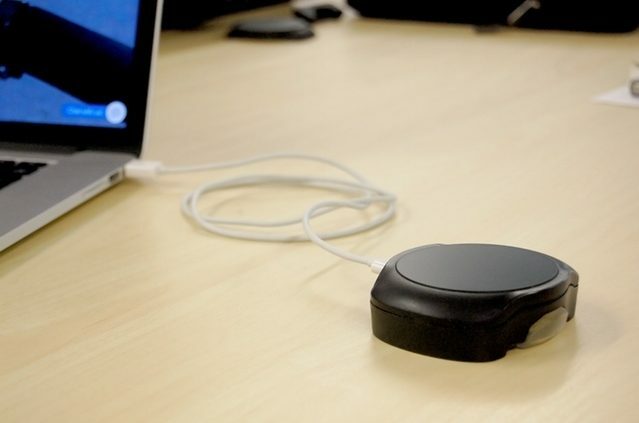 The SmartHalo is not just another security device or road bike accessory. The SmartHalo installs permanently and is built to resist tampering even in the toughest of cities or by the most determined bike thief. 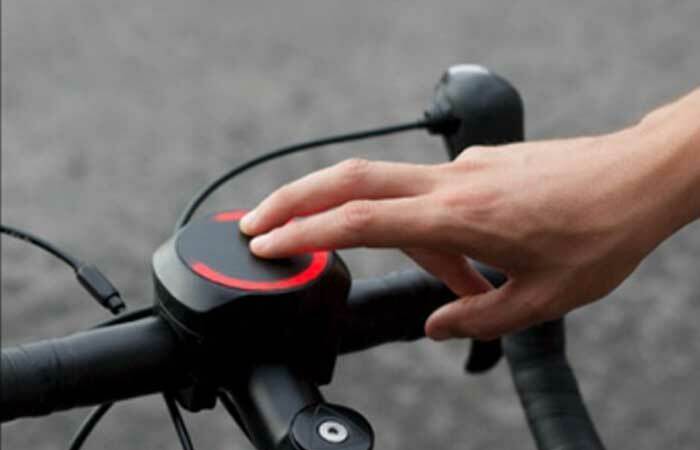 This bike defender works via SmartHalo’s internal motion sensor that makes sure that any persistent meddling with your prized road bike will trigger a loud alarm and red and white flashing LED lights– thieves will scatter like cockroaches. The Anti-Theft locking mechanism is secured to your bike with a tamper-proof screw — only your custom key fob will unlock it! What’s so great about this key fob is that it’s automatic. SmartHalo has an automatic deactivation because it recognizes its owner via the fob in your pocket. The system will deactivate as soon as you approach it since it is paired only with your smartphone. Your SmartHalo will only respond to your authorized devices; anyone else’s smartphone will be useless. Your unique device pairing is secure. But what if you’re phone is dead? No problem! 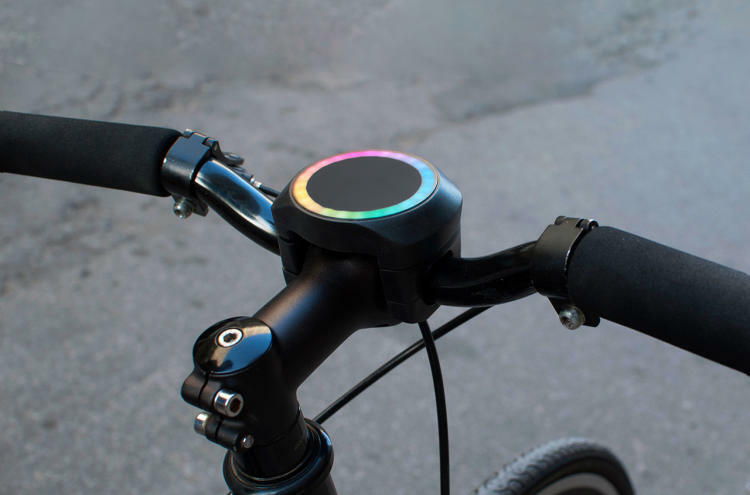 You simply need to tap your custom tapcode on the top surface of the SmartHalo in order to deactivate the alarm and get pedaling. – Intuitive light halo can also be put in a “as the crow flies” mode, which means you can choose your destination and the LED will always point in the direction of it — you can take whatever path you like and use the LED navigation as a beacon to get home. The SmartHalo is intended to be secured to your bike permanently, so it is weatherproof and will thrive under the elements. No matter where you cycle or park your ride, it can handle it. Rain, snow, mud, gravel, hail, you name it. With street noise and road vibrations, it can be difficult to know if you have received an important call or notification. 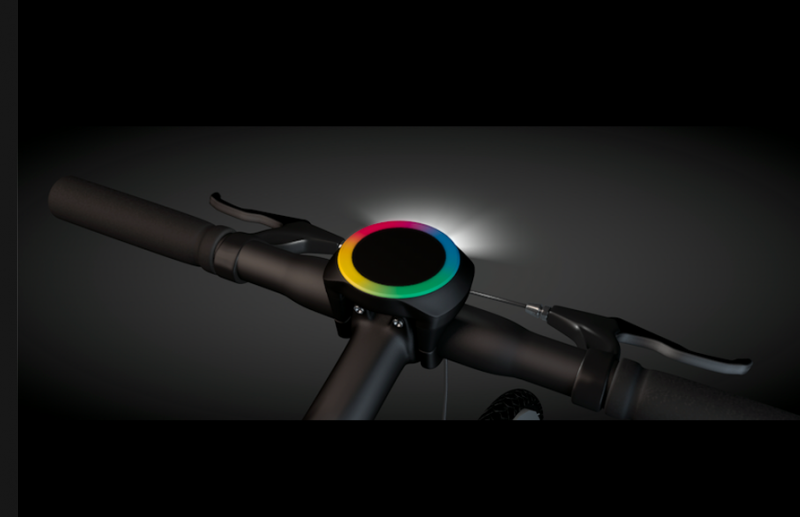 These notifications will blink directly on your handlebar — be safe and stop pedaling when you check your notifications. 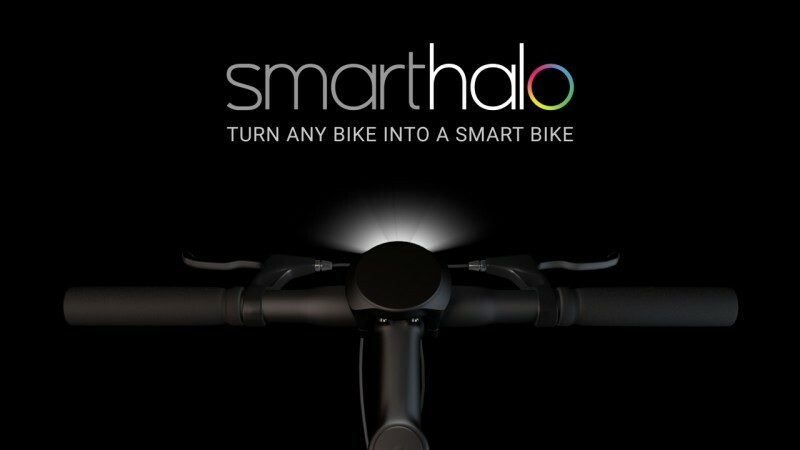 The security of your bike and what’s on it, such as lights and accessories, is at the heart of the SmartHalo invention. 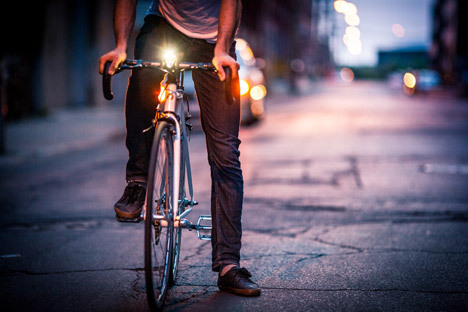 The SmartHalo LED device is secured on your bike permanently with tamper-proof screws, so you don’t have to bike in the dark again. 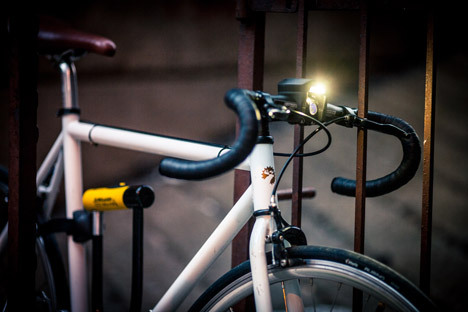 The SmartHalo features two, powerful white LED lights in order to see better when biking at night, and to be seen by vehicles. The moment the sun sets, the light turns on automatically. 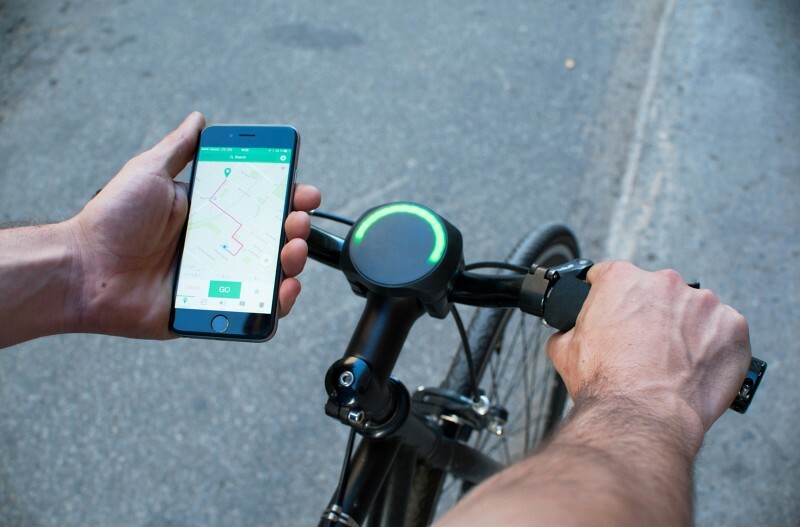 When you are done riding, the SmartHalo light turns off by itself. The SmartHalo is surprisingly affordable and is available for pre-order at the time of this article. The SmartHalo ships out to buyers beginning on January 2017. For only $179.00, you can enjoy high quality security, navigation, and fitness tracking. At the purchase link above, you can choose how many devices to purchase. The “Andean” by Diamondback: The Fastest Super Bike in the World?